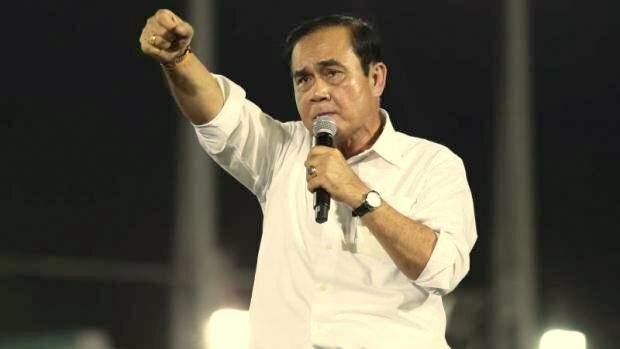 BANGKOK: Prime Minister Prayut Chan-o-cha is highly likely to reclaim premiership after the number of House seats won by the Palang Pracharath Party (PPRP) in Sunday’s election defied all expectations even though the Pheu Thai Party, its major rival, won the most seats. Of the 93% of unofficial poll results announced by the Election Commission (EC), Pheu Thai won the most seats in the constituency system with 125 while the PPRP came in second on 97, followed by the Bhumjaithai Party (39), the Democrat Party (29) and the Future Forward Party (26) as of press time. However, according to the unofficial results, the PPRP led with 7.1 million votes, followed by Pheu Thai (6.9 million), Future Forward (4.4 million), Bhumjaithai (2.6 million) and the Democrat Party (2.1 million). As a result, the PPRP is likely to win a higher number of party-list seats than Pheu Thai, based on the mixed-member proportional representation method used. As such, the two parties would be more or less level with each other in terms of both constituency and party-list MPs. A Pheu Thai source said key figures were surprised at the number of votes won by the PPRP. As a result, Pheu Thai had not yet contacted other parties to form a government as it wanted to wait for the full unofficial outcome first. If parties which belong to the pro-democracy camp such as Pheu Thai, the Future Forward Party, and the Puea Chat Party, cannot muster at least 251 House seats, or more than half of the total of 500 seats, it will be difficult for Pheu Thai to form a government and the PPRP must be allowed to form a government instead because it has more bargaining power than other parties, the source said. Political observers noted that the Democrat Party disappointed hugely after it won only 29 constituency seats as of press time and lost all its seats in Bangkok to the PPRP and FFP. As a result, Democrat leader Abhisit announced his resignation at 9.50pm, honouring his promise to quit if the party won fewer than 100 seats. “I thank the people who voted for the Democrat Party. The vote count is not yet finished, but it is clear that the results do not meet the target I set ... I have to show responsibility and resign as party leader as of now. From now the decisions [whether to join a new government] will rest with party executives,” he said. Mr Abhisit recently announced he personally would not support Gen Prayut regaining power – however, he also ruled out cooperating with the Pheu Thai Party. Now the Democrat Party will have to come up with a resolution on who the party should support as prime minister, and it is likely it will eventually work with the PPRP. Pheu Thai Party’s chief strategist Khunying Sudarat Keyuraphan on Sunday stood firm that the party which won the most House seats, if not a majority, should get the first chance to form a coalition government. She insisted the party would not work with political parties rooting for Prime Minister Prayut Chan-o-cha and repeated her call for the 250 appointed senators, to be appointed by the National Council for Peace and Order, to respect the mandate of the voters. She was apparently referring to the selection of the prime minister in which the Senate will join the Lower House in choosing the premier. “The election is not a struggle for power. But in forming a government, the first thing is to respect the will of the people. There must be a principle in gathering support from coalition partners rather than ignoring the wishes of the people. Pheu Thai will not do anything that goes against the people’s mandate. We will not resort to foul play,” Khunying Sudarat said. Khunying Sudarat, who is a party prime ministerial candidate, also assured party supporters that they would not be disappointed and their votes would not be wasted. “Political parties must be honest and respect the wishes of the voters,” Khunying Sudarat said. Pheu Thai secretary-general Phumtham Vechayachai said the election was not a normal one as state resources and mechanisms were mobilised to the advantage of a certain party. Several of Pheu Thai’s provincial branch offices were “visited and checked by state officials”, she said. Meanwhile, Chaikasem Nitisiri, another Pheu Thai prime ministerial candidate, addressed the possibility of cooperating with the Democrat Party: “We can talk if the Democrat Party reassured us it would not work with the party that supports the regime returning to power”. "They to old to understand what Thailand needs" Yep,for that they should ask the serial poster.If someone knows what's good for Thailand than him.Countless posts by him have shown his great expertise and his great love for this place. "Thai people of 70+ are not the people who can lead Thailand into future"Yes right,but retired expats about that age can come forward daily giving their advises about what's good for this country and how it should change.Ridiculous! "...Prime Minister Prayut Chan-o-cha is highly likely to reclaim premiership..."
The voters have spoken! Now is time to talk about forming stable coalition, running Thailand in peace/ harmony. Try to be real thai democracy. And send army back to the barracks. Put 'young' ( age 40-50) , well educated with foreign study/working experience in charge. Thai people of 70+ are not the people who can lead Thailand into future. They to old to understand what Thailand needs.